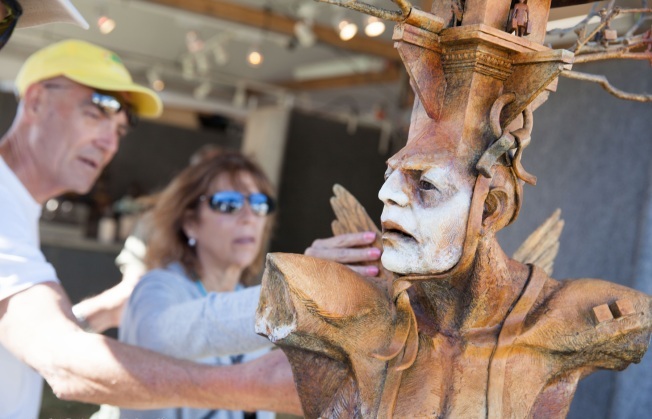 The Sausalito Art Festival is once again getting ready to mount one of the best festivals of the year. Fine art, great music, gourmet food and premium wines will be part of what makes this annual event along the spectacular Sausalito Waterfront the premier art festival in the U.S. attracting art aficionados and collectors from around the world. This year's festival celebrates the 50 year anniversary of the San Francisco Sound with Jefferson Starship, Quicksilver, an instrumental Grateful Dead tribute, Jazz is Dead, and more. Reggae legend Jimmy Cliff, the Music of ABBA, Fab Four and Wonder Bread 5 will be performing over the weekend, guaranteed to keep everyone moving. The Festival showcases 260 artists in all medium, premium California wines, delicious food, a beer garden and a children's entertainment area. The opening night GALA: Studio 63 Boogie the Night Away takes place Friday, September 4th and benefits the Foundation's year-round educational program, Artists Teaching Art. For more infomation and tickets, click here.